Hello there The NY Melrose Family readers! Serene from House of Yumm here again! It’s been awhile since I’ve stopped by. But I’m so excited to be back here and sharing this recipe for Neapolitan Brownies with you. It’s February and Valentine’s Day is coming up, so what better way to celebrate and get ready than with these Neapolitan Brownies? I love the combination of Strawberry, Vanilla, and Chocolate. 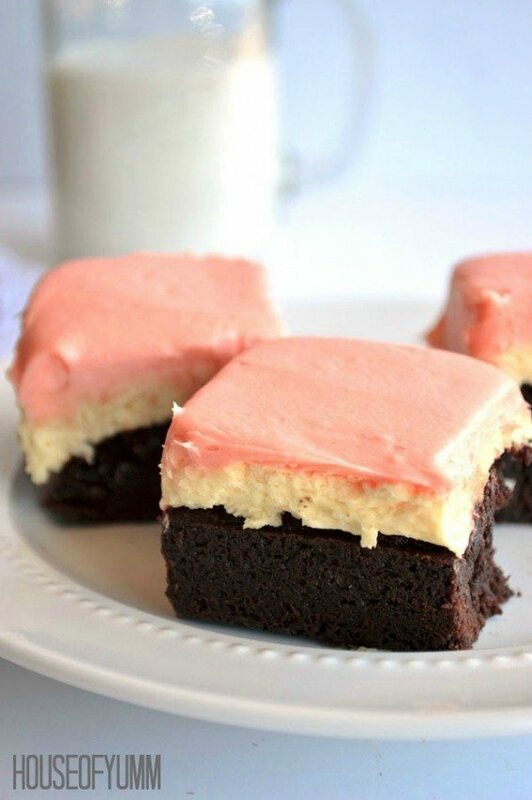 These fudgy, chocolate brownies are topped with a light, fluffy vanilla mousse, topped with another layer of strawberry mousse! Aren’t these the most gorgeous brownies you’ve ever seen?? They’re really easy to make too. Bonus! I started with my favorite brownie mix, you can use a box mix, or a favorite homemade mix that you use. Bake them as you normally would. I made a 9×9 pan of brownies. The mousse is a simple mixture of heavy whipping cream and vanilla pudding with a small spoonful of powdered sugar. I split this in half and added some rel=”nofollow”Strawberry flavoring and a little bit of red food dye to create a pink color. If I could have found a strawberry instant pudding I would have done that instead, but I wasn’t able to find any at the market. If you do though that would save you this step! Once the brownies have cooled spread the vanilla mousse over the top, do your best to make it nice and even and smooth it out on the top. Place this in the fridge and allow it to set for about 30 minutes or so. Then come back and do the same with the strawberry mousse. Store these brownies in the fridge until you are ready to serve them. They can they been stored in the fridge in an air tight container for up to 7 days. 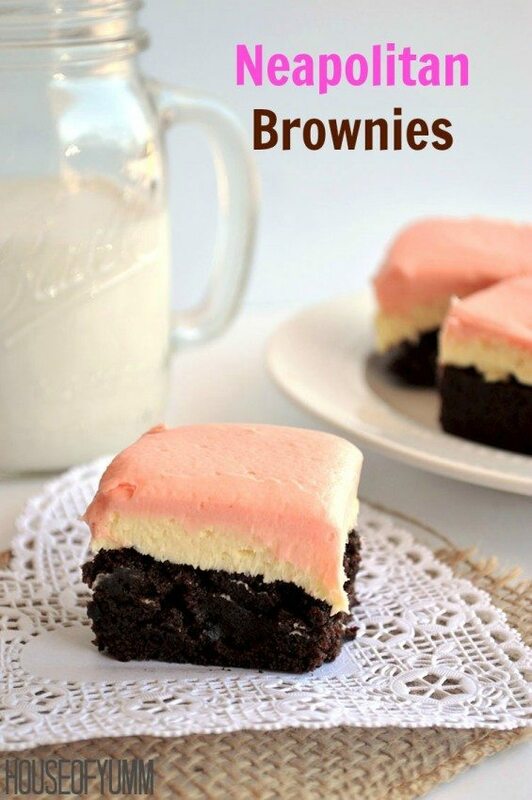 Trust me these Neapolitan Brownies will be a winner! If you’re still in the mood for more Neapolitan treats make sure you check out this Neapolitan Milkshake also! 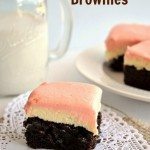 A fudge brownie with vanilla and strawberry mousse make the perfect Neapolitan Brownie. Prepare the brownies according to directions and bake as instructed, recipe is for a 9x9 pan of brownies. Set aside and allow to cool. Pour the heavy whipping cream into a mixing bowl, mix over medium speed until it starts to thicken. Add the powdered sugar and pudding powder. Continue to mix over medium speed until a thick mousse forms. Divide the mousse into two equal amounts. Add the strawberry extract and food coloring to one half of the mousse. Store the mousse in the refrigerator until the brownies are completely cooled and you are ready to layer. Spoon the vanilla mousse onto the top of the cooled brownies. Spread evenly and level off the top. Place the brownies with the mousse into the fridge to set and cool. Approximately 15-20 minutes. Remove the brownies from the fridge and spoon the strawberry mousse on the top. Spread evenly and level off the top. Serve immediately or cover and store in the refrigerator. Brownies can be stored in a sealed container in the refrigerator for up to 7 days. 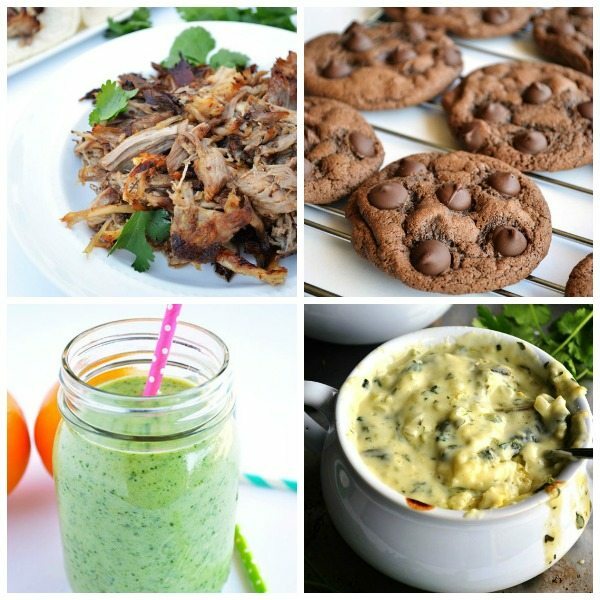 Serene is the writer, photographer, and recipe developer behind House of Yumm: a food blog with decadent desserts, healthy meals, and everything in between. Make sure you stop by to say hi and follow along! These are gorgeous! They look so amazing!!! Could I double this recipe for a 9×13 pan? I’d like to take these to a large family party.